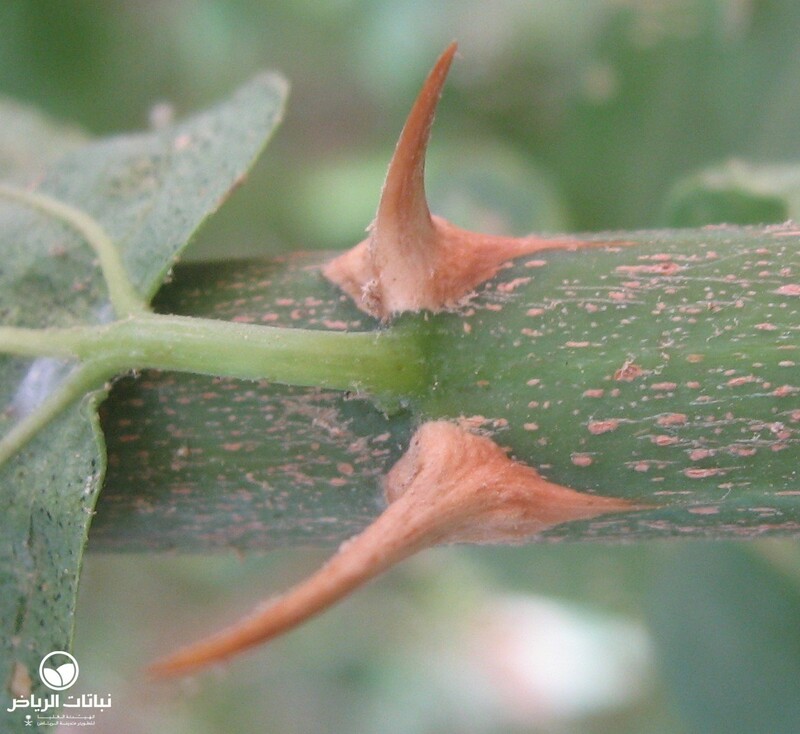 Ziziphus spina-christi has the common names Ziziphus and Crown-of-Thorns. 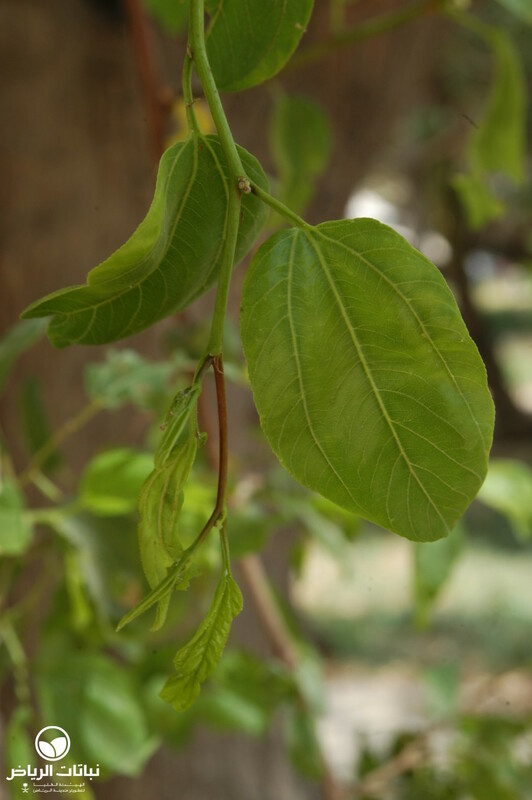 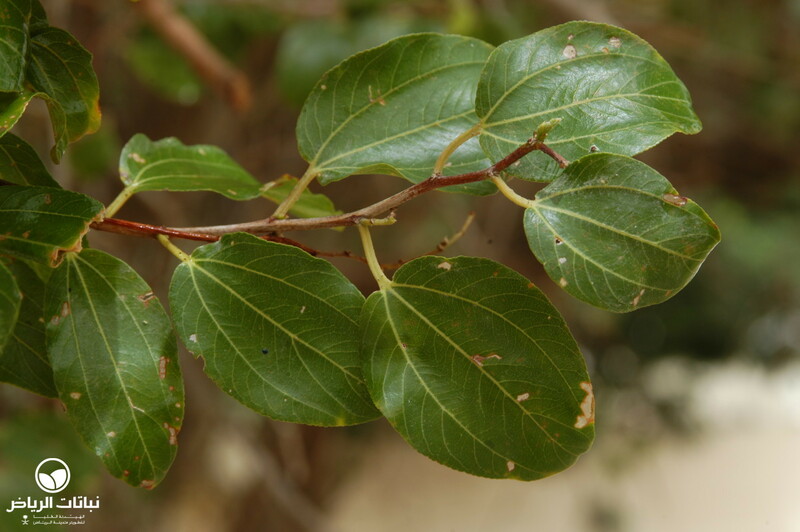 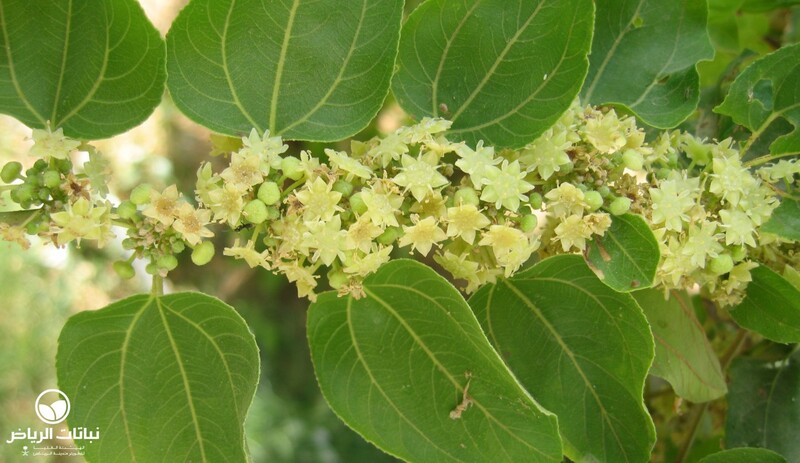 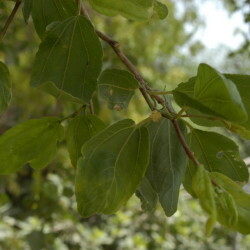 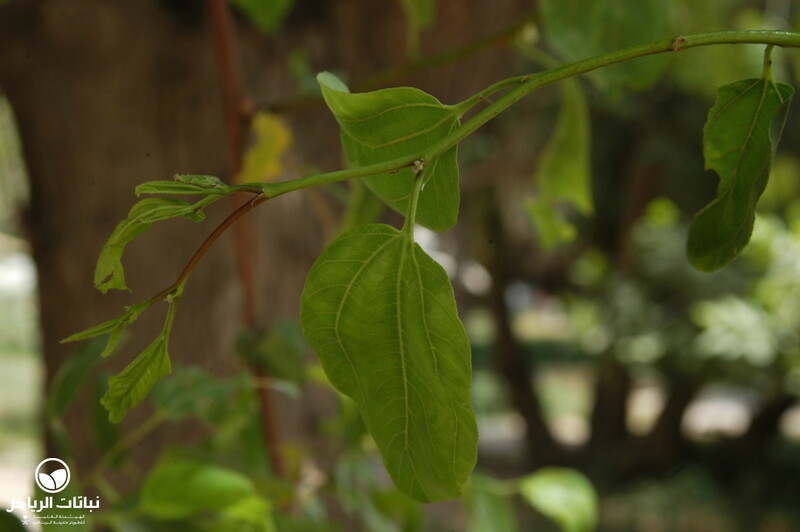 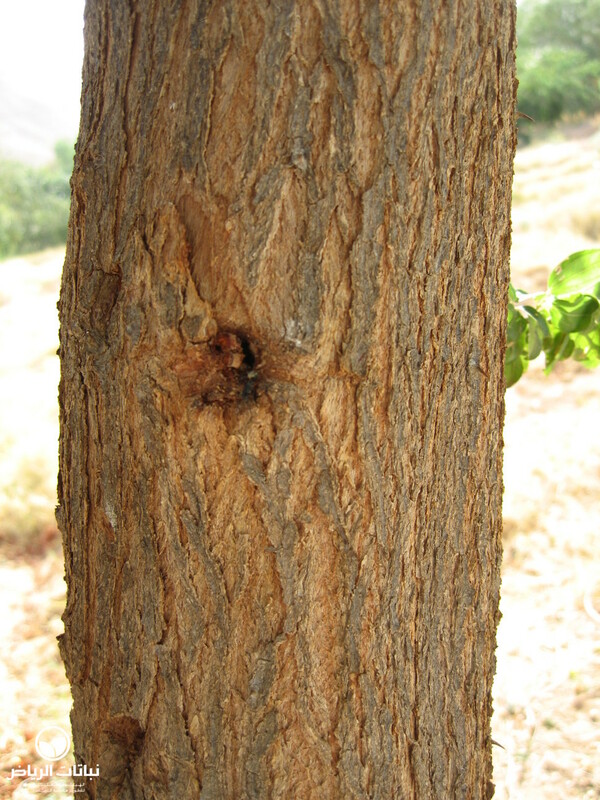 This tree is indigenous to the east Mediterranean basin and southwest Asia. 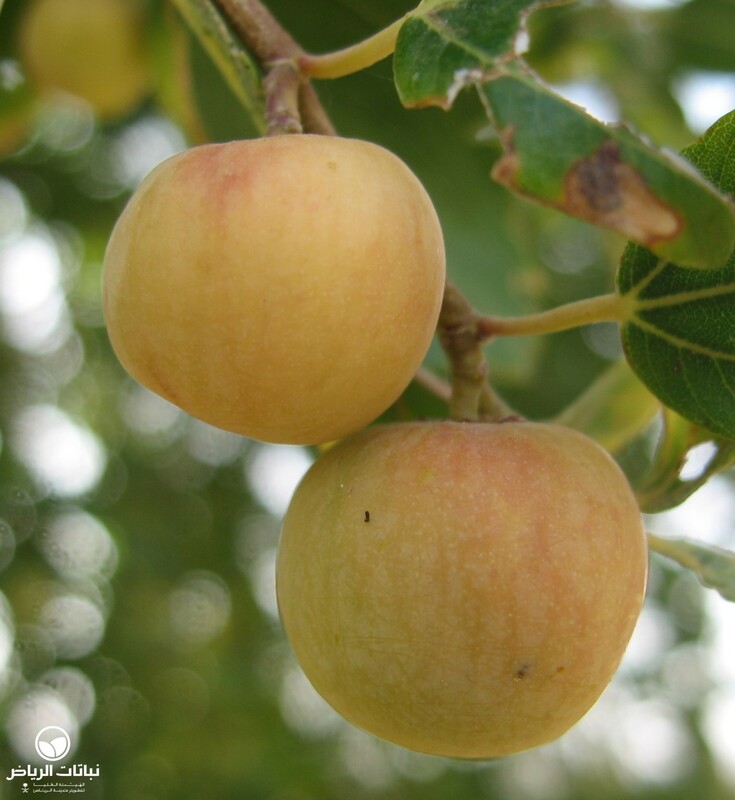 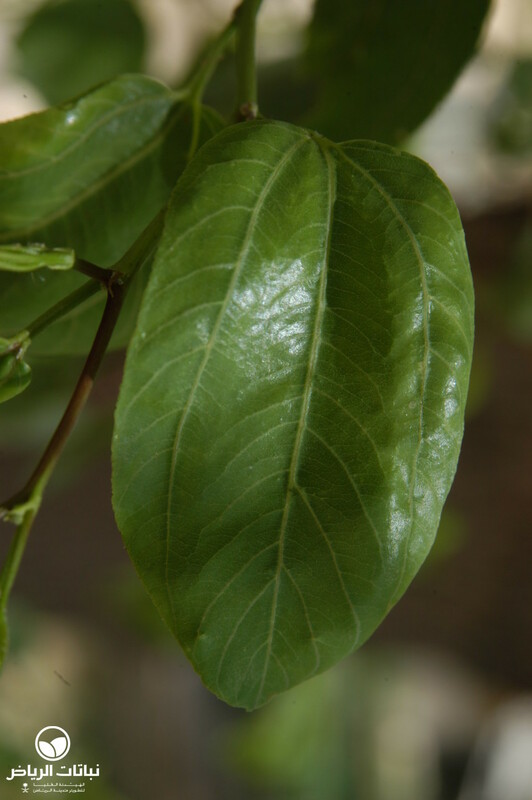 The Ziziphus has a normal growth rate and develops a dense, often multi-stemmed crown. 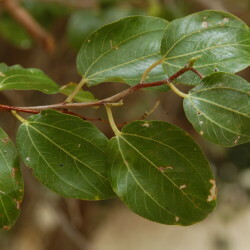 The semi-evergreen foliage is green; the leaves are alternately arranged, entire and ovate in shape. 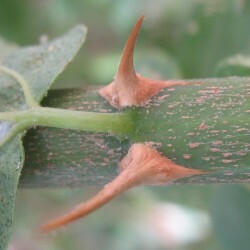 The branches are armed with small thorns. 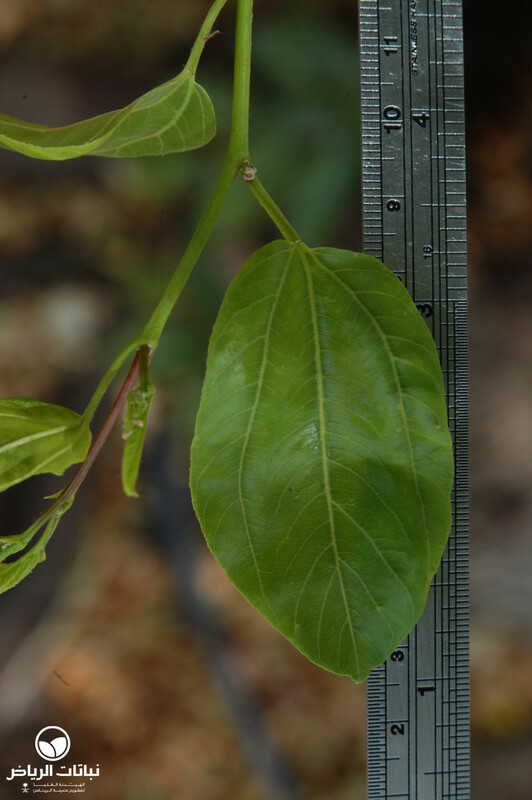 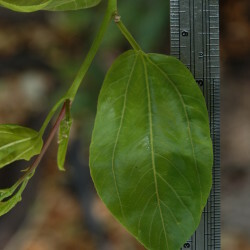 Z. spina-christi reaches a height up to 14 metres, with a width of up to 9 metres. 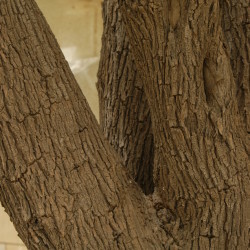 The root system is deep and extensive. 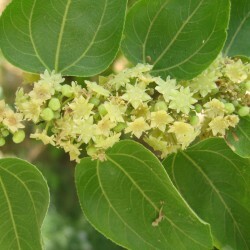 The flowers are inconspicuous and umbel-like, with a light yellow-green colour. 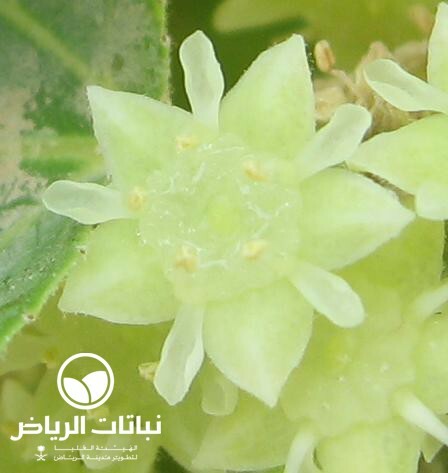 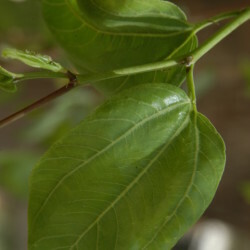 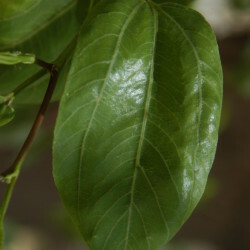 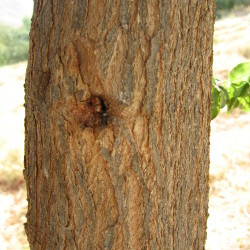 After flowering, the tree develops apple-like fruits with a size of about 1 cm. 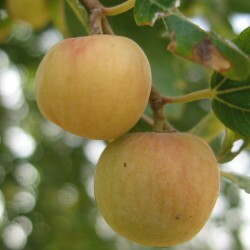 These are initially yellow, and later brown-red in colour. 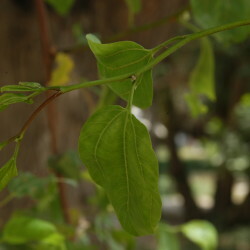 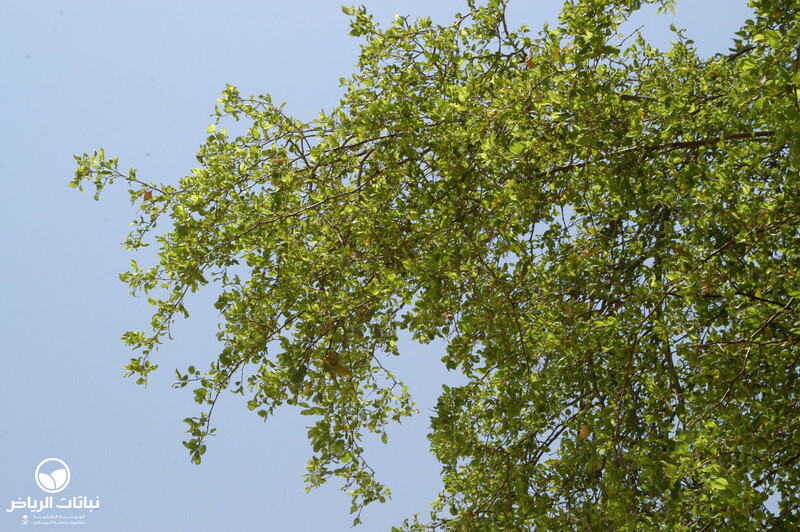 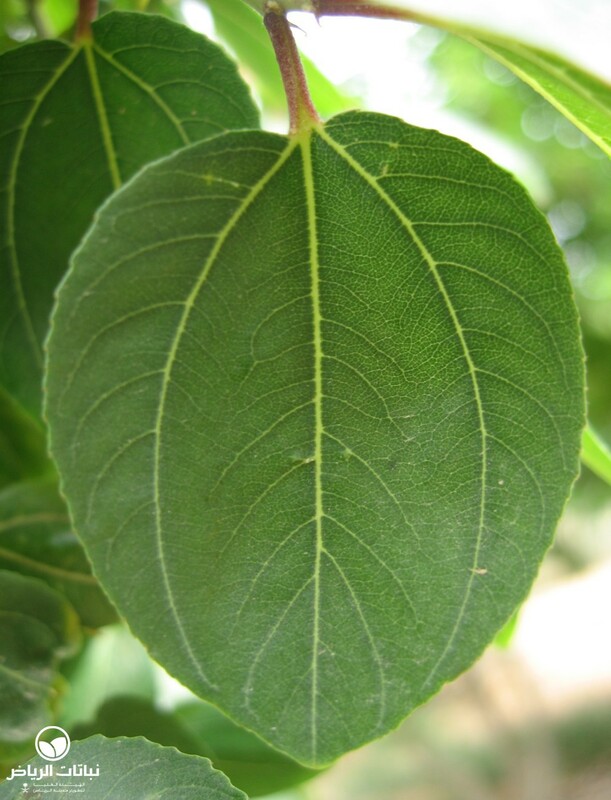 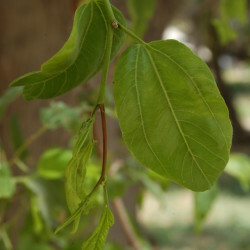 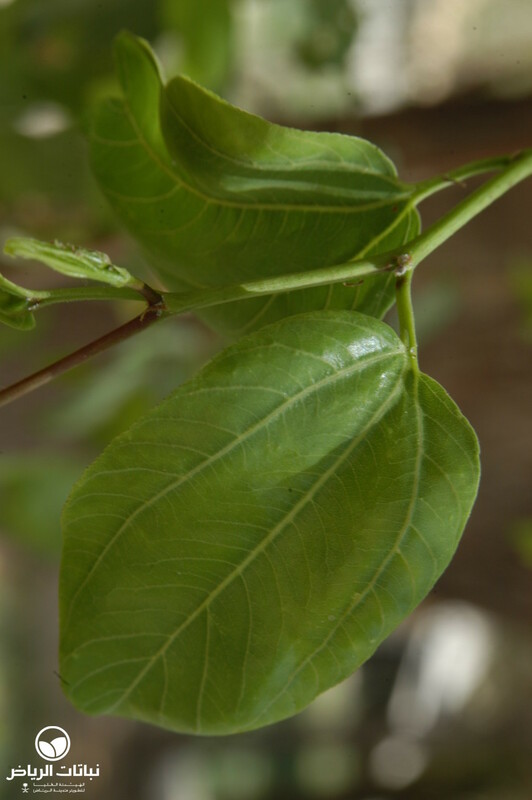 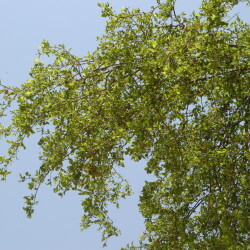 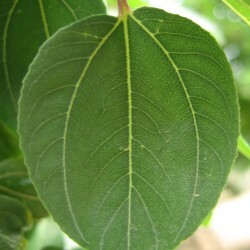 The tree is propagated by sowing and pricking, or by cuttings. 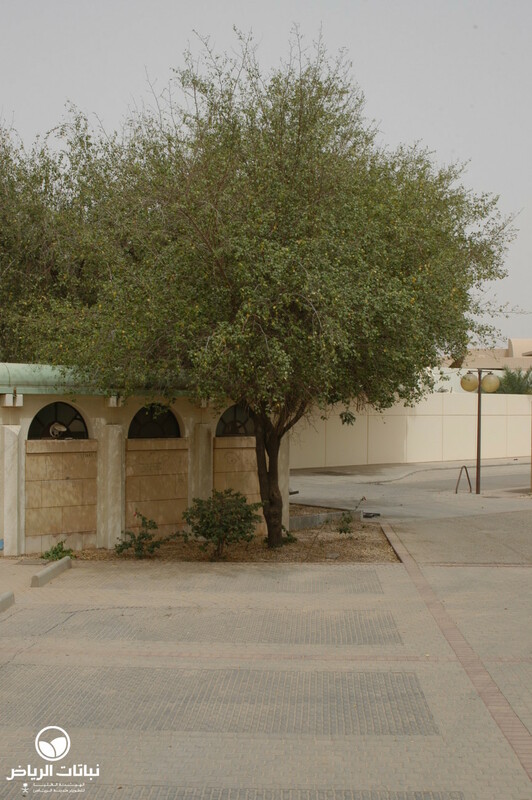 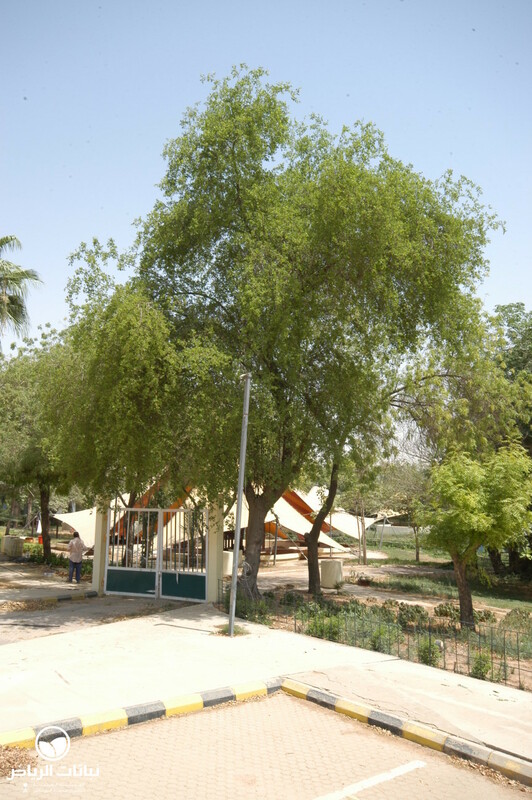 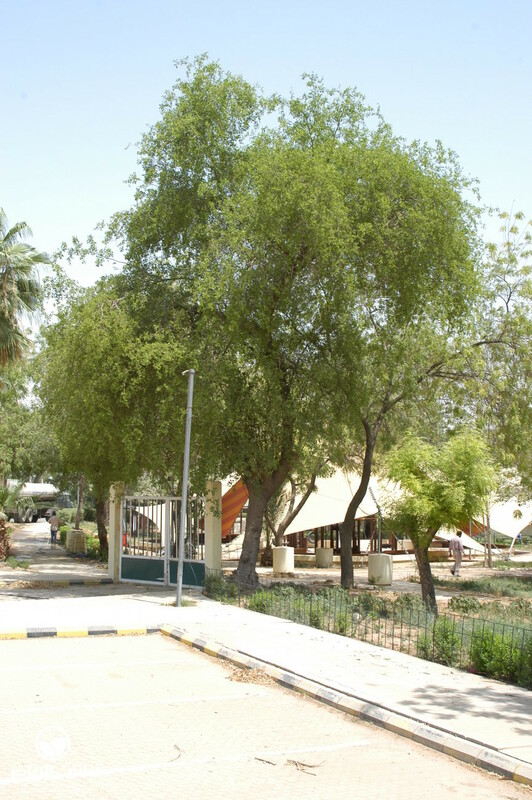 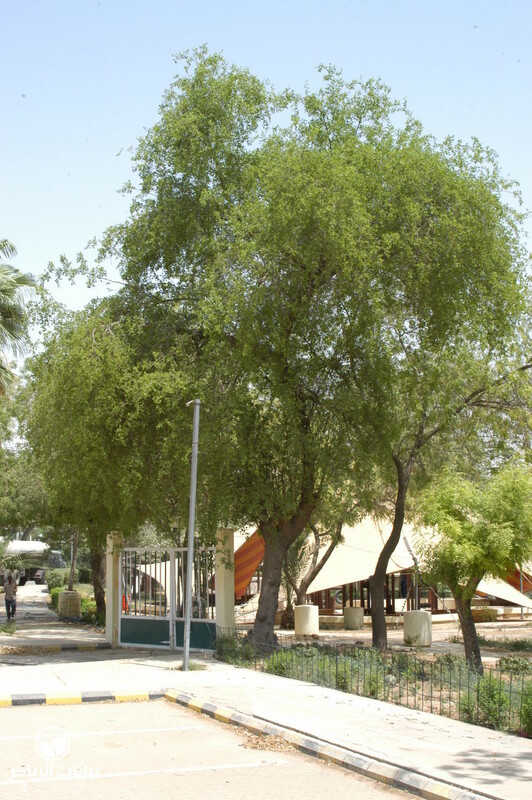 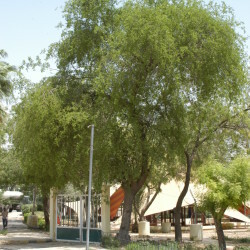 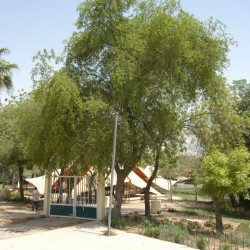 Z. spina-christi is one of the best and most reliable trees used in Arriyadh landscape design. 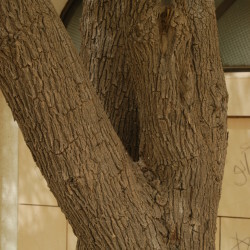 It can be found growing well everywhere in the city, e.g. 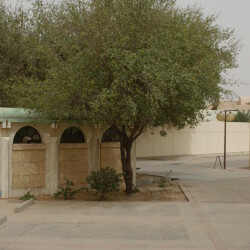 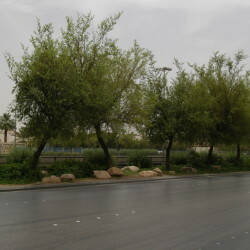 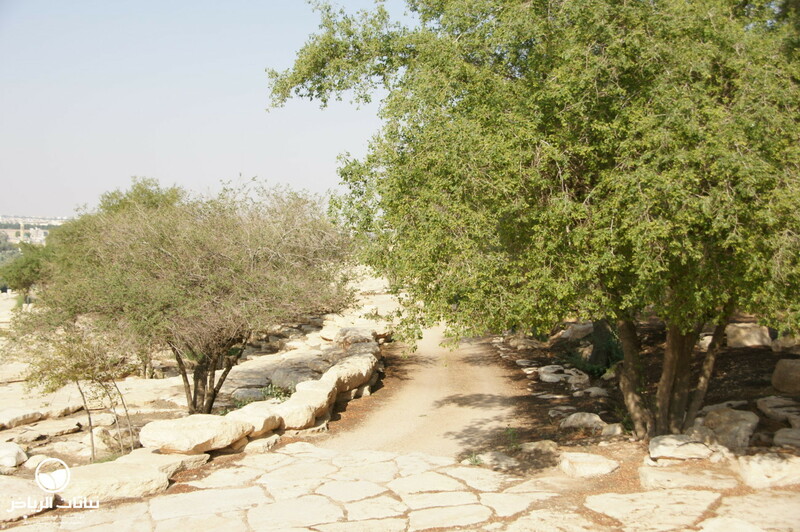 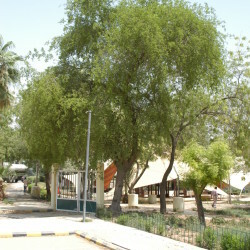 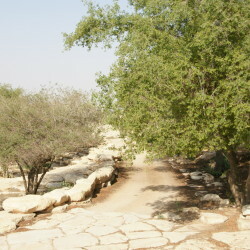 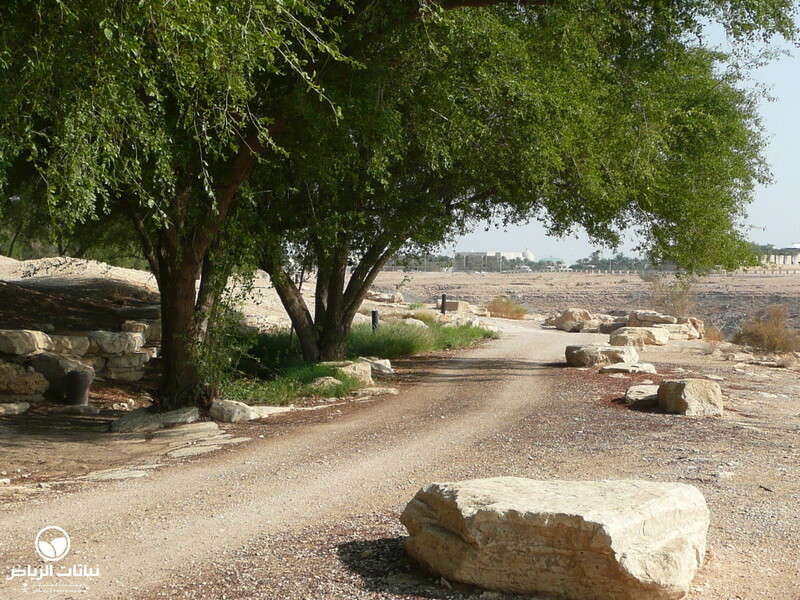 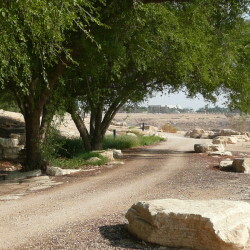 in King Fahd Road, as a street tree in Murrabba and in Addiriyyah. 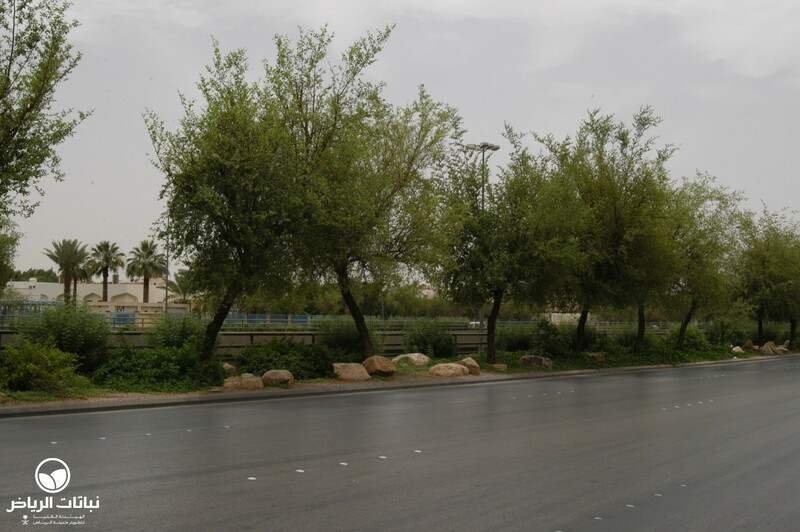 It is completely adapted to harsh desert and urban conditions, needs almost no maintenance, low irrigation, little pruning and no added nutrients. 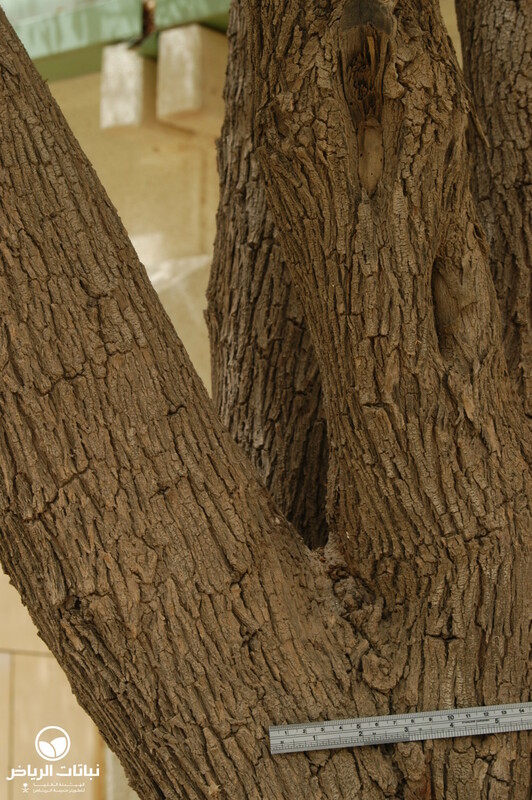 It can withstand medium salinity, but does not appreciate stagnant water. 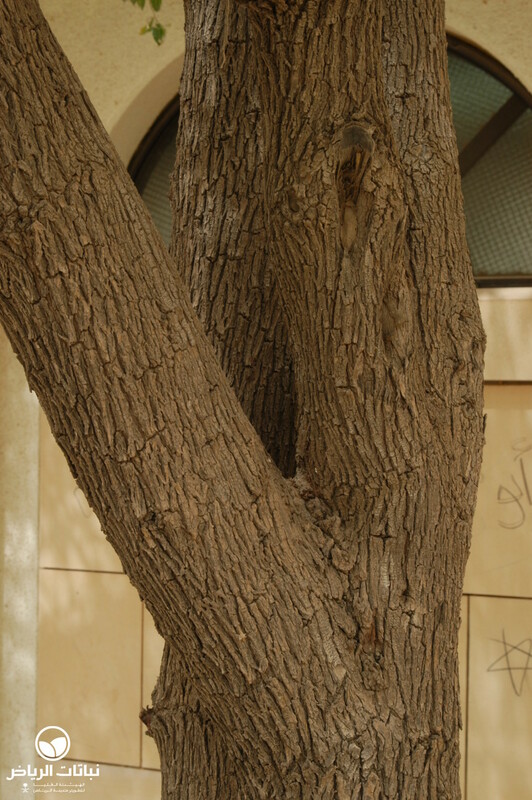 The tree is very valuable for urban areas as a shelter plant, for public open spaces, street planting, parks and private gardens, and also for roof gardens and courtyards. 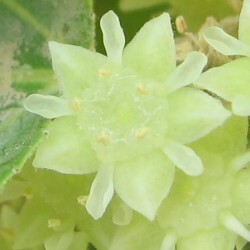 The only thing that needs to be considered is the fruit drop. 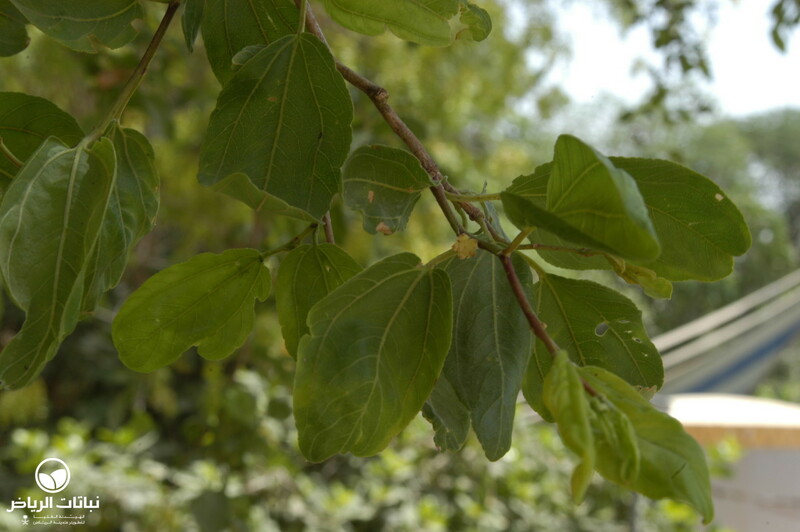 Ziziphus is good as a specimen tree and for afforestation and roadside planting.